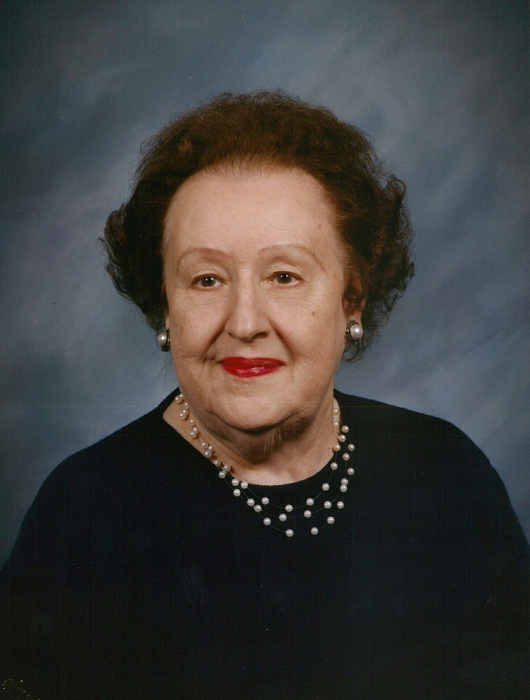 Mary Elizabeth Anderson, 100, of Hastings Homestead Assisted Living entered the Kingdom of Heaven on April 5, 2019, after a brief illness. Services will be 2:00 p.m. Wednesday, April 10, 2019, at First St. Paul’s Lutheran Church in Hastings with Pastor Joel Remmers officiating. Burial will be at Parkview Cemetery, Hastings. Visitation will be 4 – 6 p.m. Tuesday, with family present at the funeral home and one hour prior to the service at the church on Wednesday. Memorials may be given to First St. Paul’s Lutheran Church, Hastings College, or towards a memorial bench at her beloved Heartwell Park. Private condolences may be sent to the family at www.lbvfh.com. Livingston Butler Volland Funeral Home & Cremation Center is serving the family. Mary Elizabeth Higgins was born to George S. and Carolina (Reichert) Higgins on October 17, 1918 in Burlington, IA. Mary Elizabeth graduated in 1940 from the University of Iowa with a bachelor’s degree in arts with a certificate in journalism. After graduation, while attending an End of WW II Celebration Party, she met Wilmer M. (Bud) Anderson to whom she was wed on June 25, 1947. Bud preceded her in death on December 23, 1969.To this union were born three children. Mary Elizabeth enjoyed a rewarding career writing for the Hawkeye Gazette, serving as Advertising Manager for department stores Klein’s and Sears. Later she was employed at Hastings College for 15 years, first in the Music Department and later the Public Relations Department. She retired in 1985. Mary Elizabeth was a member of Chapter DA PEO. She loved playing bridge with “The Girls.” She was a member of First St. Paul’s Church activities and participated in the church choir and Women’s Circle. Mary Elizabeth volunteered for Hastings Symphony and Hastings Community Concerts, and spent many hours volunteering as Room Grandparent at Watson Elementary. Although Mary Elizabeth was an avid Husker football fan, holding season tickets for 70 years, she remained a Hawkeye at heart. Mary Elizabeth Anderson was preceded in death by husband Bud, her parents, siblings Dorothy Higgins and Richard Higgins, and son, Dr. Tim Anderson on October 13, 2005. She is survived by: daughter Christine (Tina) Anderson of Omaha and son Dan and daughter-in-law Teresa Anderson of Hastings, four grandchildren and their spouses: Tom and Beth Anderson of Lenexa, KS, Steve and Jenny Anderson of Omaha, Jay Anderson of Omaha, and Sarah Anderson of Omaha, and three great- grandchildren: Benjamin and Lincoln Anderson of Lenexa, KS, and Matthew Anderson of Omaha, and sister-in-law Lois Higgins of Urbandale IA, and several nieces and nephews.